Some guys have all the luck. Or maybe its not really luck, its their job to drive and evaluate cars. Inside Line recently spent some time with the 2012 Nissan GT-R - Black Edition and has posted a video and results. I like this section from the start of the review. 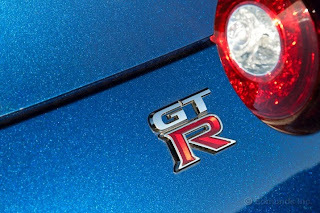 A lot of journalists claim the GT-R is not involving. Its deadly fast, but not involving according to some of the guys that drive and write about cars. I think its a bit of a cop out answer. If the car is easy to drive fast, then you can drive it fast easily. If its scary to drive, you might be marginally quick, but you will be involved as you need to constantly correct the car to make it go fast. Watch this video of Leh Keen in an R35 at VIR, and tell me a fast driver, in a fast car, in the drizzle isn't involving. Maybe you even read enough Internet forums to convince yourself that it was an appliance — warmed over electro-mechanics turned into speed. Technology, you probably concluded, can be so dull. Yawn. So the big question always is: How fast is it? It hit 60 in 3.1 seconds (2.9 seconds with 1 foot of rollout like on a drag strip) and stomped through the quarter-mile in 11.1 seconds at 124.1 mph. When Inside Line tested the 2010 Porsche turbo they got 3.2 seconds to 60 mph and 11.1@125.4 in the quarter, the Corvette ZR1 did 60mph in 3.9 seconds and 11.7@126.7 mph. Head over to Inside Line for the full story and pictures of the 2012 Nissan GT-R - Black Edition.